The fortress is the focal point of the city center. To get to the fortress there is a small funicular that quickly takes you to the top of the hill and the entrance to the fortress. There is an impressive view from the area in front of the fortress (bring your camera). Inside the castle, they have used a lot of the space to display military memorabilia which I was a little bit disappointed by as I would have liked to learn more about the history of the castle itself. There was a guided tour available which I would take if we returned. The view of the fortress from the Kapitel Square - you can see the funicular that leads up to the fortress on the right hand side. The residenz is stunning and is definitely worth a visit. Included with your admission is an audio guide. Usually when I get such guides I tire of them quickly and end up skipping many of the tracks; on this one, however, I listened to almost every single track. The information was fascinating! Don't forget to go through the gift shop, through the snack room and you will find a huge terrace with nice views. 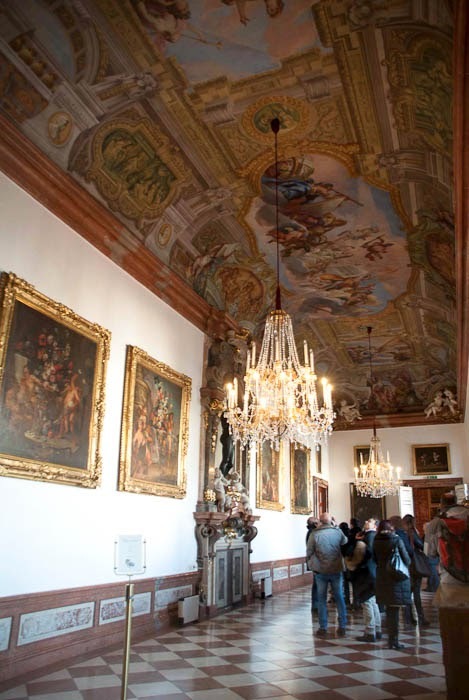 One of the many gorgeous corridors in the Residenz. On the rooftop terrace of the Residenz looking down on the Residenz Square. 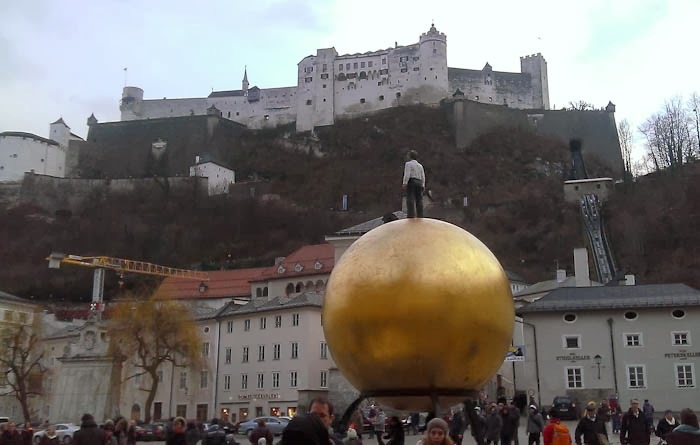 There are two main hills in the center of Salzburg on top of one is the fortress and on top of the other is the modern art museum (Museum der Moderne Mönchsberg). To reach the museum there are elevators which transport you through the mountain and leave you at the top. 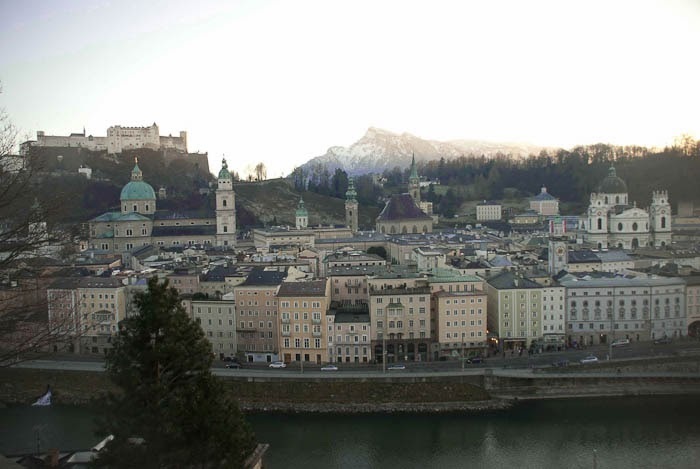 From there you have one of the best panoramic views of Salzburg. We did not go into the museum but instead just enjoyed the view from the balcony area in front. There is also a restaurant up there which affords its diners the same panoramic view. 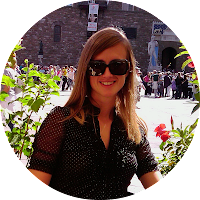 From there you can find hiking trails that bring you to the fortress – in the warmer months it would be really nice to pack a picnic and start the day there and then hike to the fortress stopping along the way to have lunch and admire the views from above the city. I really enjoyed this panoramic viewpoint because you can see the entire city center including the fortress. In the spring or summer, it would be a lovely place for a picnic. Salzburg, the fortress, and the Alps in the background as seen from Kapuzinerberg. 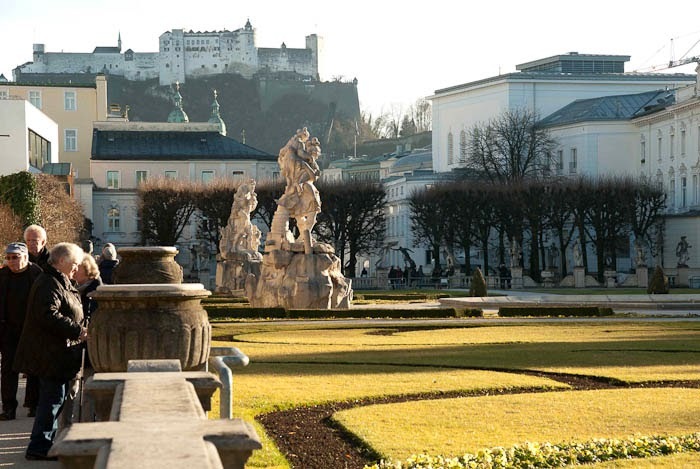 Salzburg is full of Mozart history. It is where he was born and lived for the first part of his, unfortunately, short life. I really enjoyed this museum which is inside the house where he was born. You learn all about his family, his early years, and his stunning accomplishments. It was an intimate look into his life and made me appreciate him even more. If you cannot get enough of Mozart there is another museum on the east side of the river called Mozart-Wohnhaus (Mozart Residence) with even more Mozart history. We did not visit this site – not because of a lack of interest but because of a lack of time – so I cannot directly comment on it but I can tell you it is located very close to the Mirabell Palace and Gardens and the Café Sacher – it woud be nice to spend an afternoon taking in all three sites. We went here specifically for the gardens so I will comment solely on those and not the palace. In the wintertime there is not much to see in the way of plants in the garden but it is still a nice place to walk or to soak up some rays on a sunny afternoon. In spring, I can only imagine the garden would be glorious. The thing that can be enjoyed in any season is the stunning view of the city center and the fortress. The garden is angled perfectly so as to look like it leads right up to the base of the fortress even though, in reality, it is over a kilometer away. I am a complete sucker for gondolas! I am the person who will pay absurd prices to take one to the top of a mountain with no guarantee of what is actually offered at the top. That being said, this was an incredible experience that I would recommend if you are visiting Salzburg and you have the time to get out of the city center. The base of the gondola is located about 25 minutes outside of Salzburg and is easily accessible by bus (both the bus and the gondola are included in the Salzburg card). The gondola takes you to the top of the mountain and into what felt like a different world. Being winter, there was snow everywhere and it was quiet and peaceful. 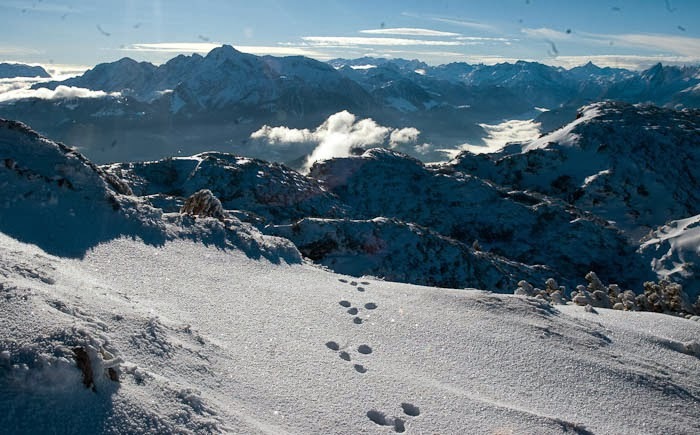 There are many hiking trails on the top of the mountain and in the warmer months you can hike to many different refuges where you can stay the night or have something to eat. We walked a ways on the groomed path and found a little hill to summit from which we had incredible 380 degree views. In one direction there were the Alps stretching for as far as the eye could see and clouds dramatically flowing between them like rivers in the sky. 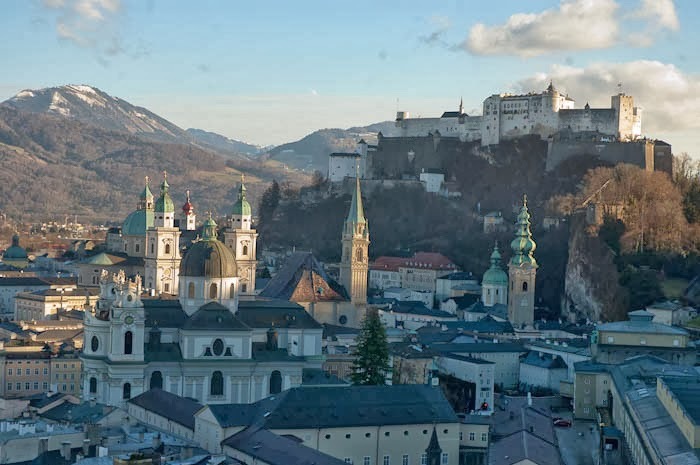 In the other direction, there were the plains and the city of Salzburg which looked miniature. This was our favorite place we ate in Salzburg. The menu was small but everything we tried was delicious. Our favorite was the sliced meats and cheeses – all from local producers! The staff was very friendly and patient with our almost non-existent German. They also brew their own beer! The prices were very reasonable. This place is very popular with locals and visitors alike and for this I would highly recommend making a reservation. The décor is typical and creates a warm and welcoming feeling. The menu has all the typical dishes plus a few surprises (I had a pumpkin soup I really enjoyed). The prices are just a little above average. I highly recommend going to the bar at the top of the Hotel Stein for a drink (especially at sunset). The hotel is right on the river so it affords a very nice view of the city center. It would be especially nice in the warmer months because they have a large outdoor terrace. Pricey. There is a market Monday through Saturday between 7:00 and 19:00 in University Square. We headed there almost every day of our trip for lunch. The vendors changed a little bit each day but there was always a wide selection of sausages and beer available. There was also produce, pretzels, sandwiches, and sweets readily available. This is a great option for a quick, cheap lunch plus a nice opportunity to people watch. The Sacher torte was originally created in Vienna but there are now Café Sachers all over Austria. We had to try it out! Truth be told, I did not like the Sacher torte that much but the other piece of cake we had with chocolate and raspberries was very nice. The Café is ornately decorated with chandeliers hanging from the ceiling. It felt like a real luxury to pop in for some tea and cake in the afternoon. It was a fun splurge. Pricey. This restaurant specializes in small plates so it would be perfect for a light lunch or a snack in the late afternoon. There is also a big area outside where you can stand and have a drink. It seemed fun and lively and was always busy when we walked by. This is a place for which I will save my pennies and go to on a future trip. 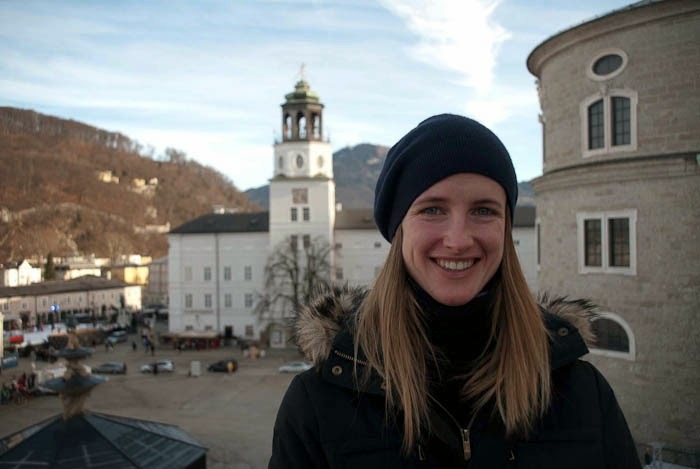 I would be excited to see how the chef elevates and modernizes Austrian cuisine. This restaurant also totes a promise to use local ingredients – an idea I can always get behind. 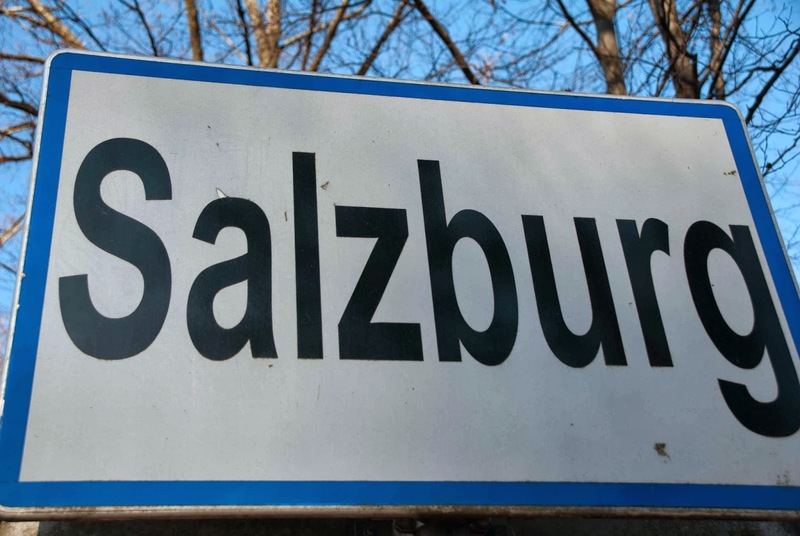 Salzburg is quite compact and there is no need to rent a car if you are staying in the city. We walked everywhere. The only time we took the bus was to reach the Cable Car which was outside of the city center. The bus was easy to use. The stops were clearly marked and the bus itself was clean and on time.